Fat bikes need electricity too! For their extra wide forks Schmidt have built SON 28 135 disc. The flanges for the spokes are symmetric and the rotor is positioned 15.4mm from the end of the axle. The same as 135mm disc rear hubs. Please could you tell me the flange spacing for both this hub, and the 100mm spaced version? 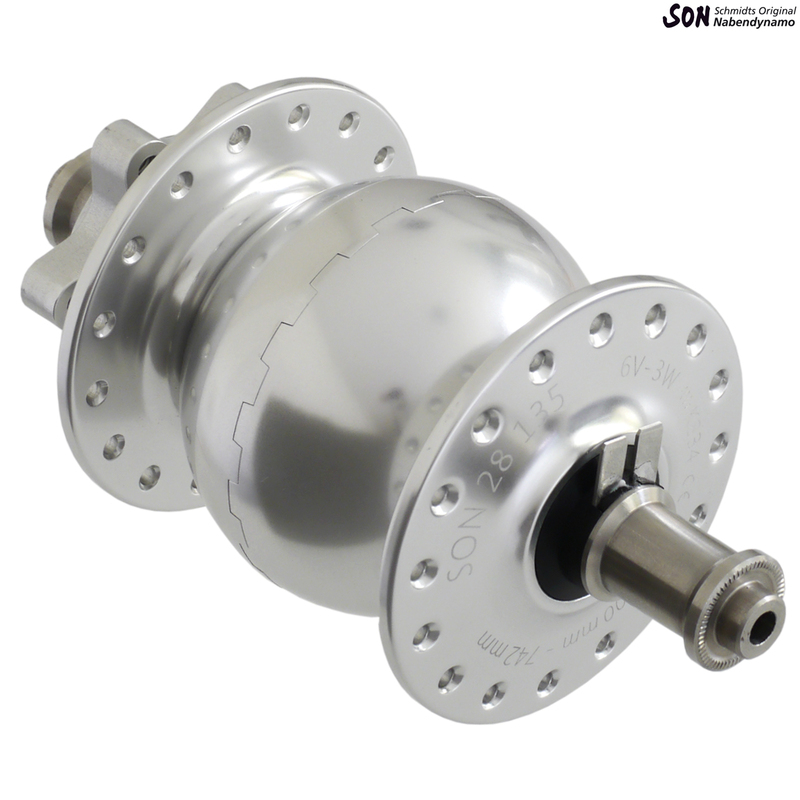 This hub has a flange spacing of 69mm and the 100mm hub has a flange spacing of 62mm.